We loves to innovate and ideate out of box solutions for our clients. We offer an exclusive range of Fabric Sofa which comprises of modern fabric sofa, leather fabric sofa etc. We also offer our range of fabric sofa at quite affordable prices. We are also a well known fabric sofa manufacturer and supplier in India. Starting from Rs. 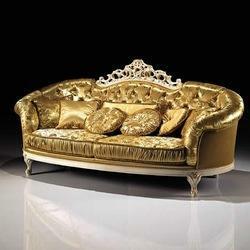 15000/- we make totally costomised sofa. Have options for fabric.